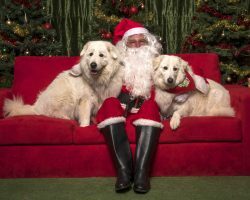 Once again this year it was all hands on deck by the Zoo Studio Team, plus a couple of intrepid volunteers (thank you very much to each of you), for RSPCA’s annual Santa Paws event. As always, the Zoo Studio Team donated their time and services on Saturday 11 and Sunday 12 November at the Wacol facility. 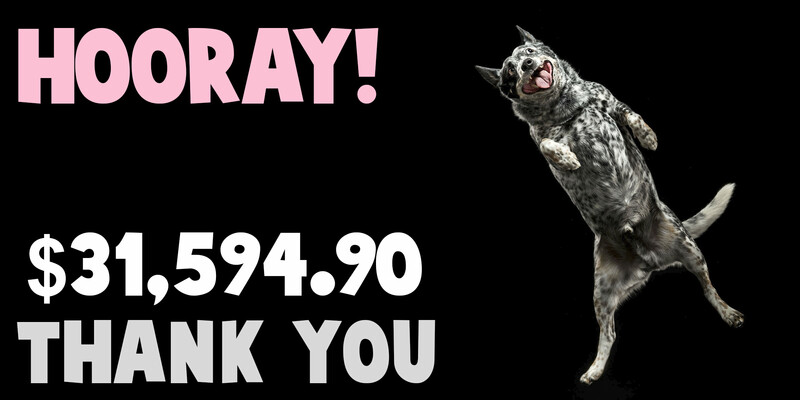 This year saw a new record raised from the event – $31,594.90 – which was also the first time over the $30K mark. Woo hoo! We are all so proud to have been involved and to have been able to contribute to this total ….. and yes, whilst having some fun at the same time. Three photographic rooms had been set up, each with a different Christmas decoration theme; Traditional, Australian, and Winter Wonderland, and all operated non-stop for the two days. Phew! Lots of organising, choreographing, cajoling for smiles from both dogs and humans …… though some treaties definitely helped with the former ….. and laughs along the way. Many happy people with their pooches and some brilliant outfits too. 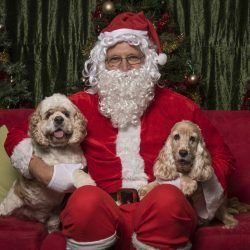 It was also a treat to see so many Zoo Studio Clients/Family Members come through for their Santa Paws session in support of the RSPCA. 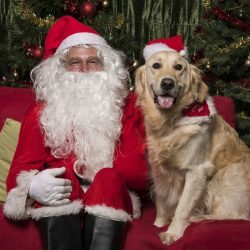 A huge thank you to everyone who was involved; our own volunteers, RSPCA staff and volunteers, everyone who came out to participate, and most of all the furry four-legged stars – Santa’s Little Yelpers!